Student Focus Group Feedback at EC Montreal! 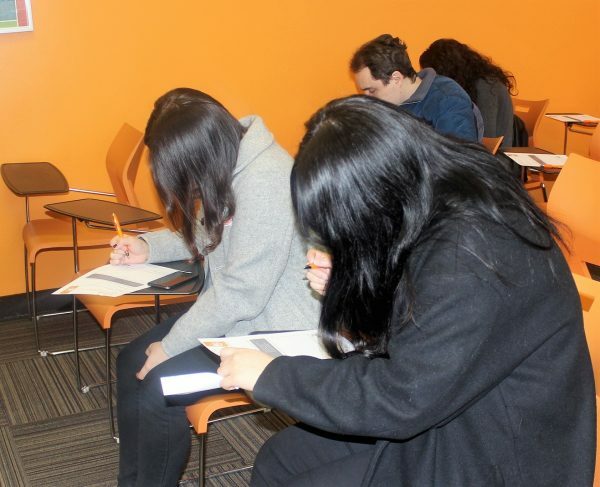 Every week, EC Montreal holds a focus group with students who are ending their studies. It is important for us to capture feedback from our students to know how they enjoyed their experience and if there is anything we could do to improve our service. We encourage this feedback at EC, giving our students a platform to voice their opinions. It has been a great experience at EC in general. The teachers are well-prepared, the school has good professionals as well as the building is well located. I enjoy the classes and the interaction with people from different countries is one of the positive points. About the accommodation, everything worked fine up to now. EC was a perfect choice to practice my French for my final exam. Not only the teachers were professional and welcoming but also the school itself made its part for an enjoyable and unforgettable time. EC Montreal was really important for my experience here in Canada. To learn and improve my English and to know friends. Come to Canada and Learn English and French in Montreal!